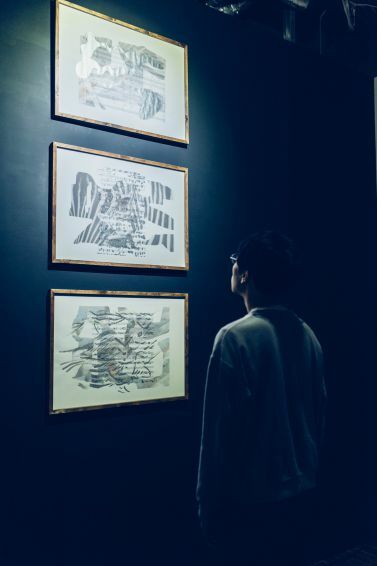 Selected for a Collector’s Prize at last year’s 3331 Art Fair, artist Shuta Hasunuma has been invited back for a solo exhibition at 3331 Gallery. A new installation produced for this exhibition will be revealed. 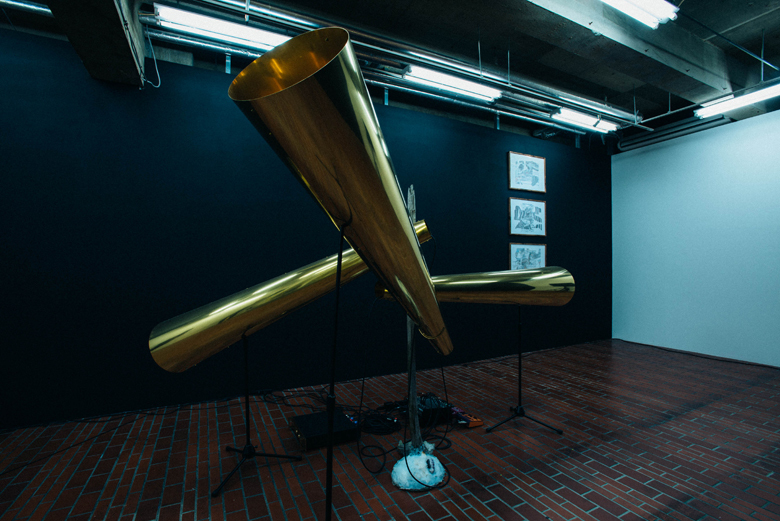 An “acoustic sculpture” will be installed in the exhibition space in an attempt to compose phenomenon itself, transforming sound depending on environmental factors such as the presence/absence of the audience. 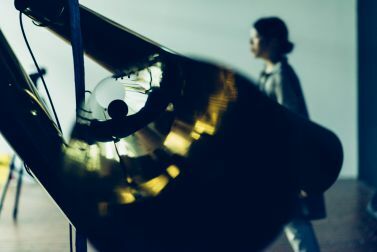 This solo show marks Hasunuma’s first since returning to Japan from his stay in New York in 2014 (on invitation from the Asian Cultural Council). A solo show at Aomori Contemporary Art Centre entitled “Sakkyoku-teki｜compositions – space, time and architecture” has been set for May 2015, and his participation in “Mixed Bathing World” has been decided for the Summer holding of the International Beppu Contemporary Art Festival 2015. In advance of this comes the current exhibition, “Prescription for Coactivity”, where we welcome you to witness Hasunuma’s fresh approach. 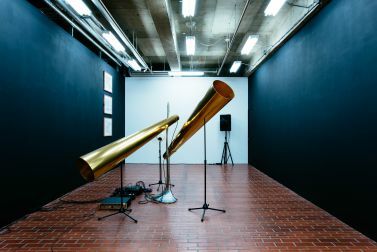 Initially, I was thinking of naming this exhibition “No Music was Playing”. The subject was the connection between “old time” and “new time”. Though that hasn’t changed, I was reminded of a short piece by Romanian philosopher, Emil Cioran. The sense of time inherent in all of us is “co-activated”. That is, I attempted an experiment in which the entire earth is compared – human beings and everything beyond. The Japanese word chie was translated as “coactivity”. In the realm of science, it may refer to a simultaneous activation.